Soak in the beauty of the Ten-Mile Ocean Drive and the Summer residences of many prominent people, take a look at the Seventeenth century buildings and the marvelous mansions along Bellevue Avenue. 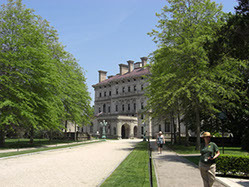 Soak in the beauty of the Ten-Mile Ocean Drive and the Summer residences of many prominent people, Take a look at the Seventeenth century buildings and the marvelous mansions along Bellevue Avenue PLUS VISIT ONE MANSION. Soak in the beauty of the Ten-Mile Ocean Drive and the Summer residences of many prominent people, Take a look at the Seventeenth century buildings and the marvelous mansions along Bellevue Avenue PLUS VISIT TWO MANSIONS. Tours leave quarter to tour time, free parking. Guest may pick up tours at any one of these locations. Guest will be dropped off at respective pick location at the end of tour. 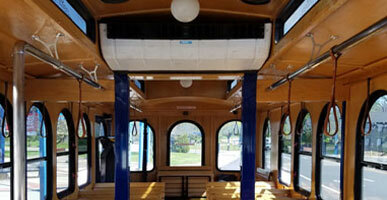 Join Historic Tours of Newport for a Lively. Fun. Informative Tour! 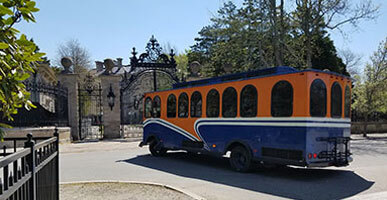 Founded in 2007, Historic Tours of Newport is a service oriented company offering comprehensive tours (both public and private) of Newport and Newport’s mansions, showcasing their individuality and uniqueness. 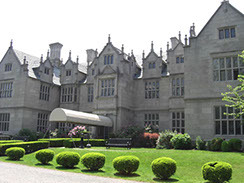 Historic Tours of Newport includes all the architectural, social and religious history from the 1600s to the gilded age of the 1900s. Continual research revealed some very difficult times in Newport’s history. Through many books and publications we have documented a fascinating history of Newport, starting when Colonists looking for religious freedom left an oppressive Massachusetts Colony along with Roger Williams and Anne Hutchinson. 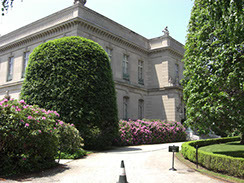 Take a step back in time from the Modern Age to the Gilded Age during our Daily Mansion Tours. Our tours give you an accurate account of hundreds of years of Newport history, as well as its spectacular architectural heritage. Only Historic Tours of Newport offers you extensive knowledge of how Newport became the social capital of America, of the 400 individuals who made Newport their summer home, and last but not least, of their fascinating lives of supereminence. We will amaze you with details and stories of 380 years of local history.